Note: Please inbox me before placing the order. I’m an Industrial Engineer from University of Engineering & Technology Taxila. I am very expert in ANSYS with good skills in CFD & FEA Simulation. If you have a project on CFD % FEA. Don’t hesitate to contact me.I have done many projects in ANSYS. I’ll also design on other Software’s like AutoCAD, ARENA, and Solidworks depending on the design type and requirements. 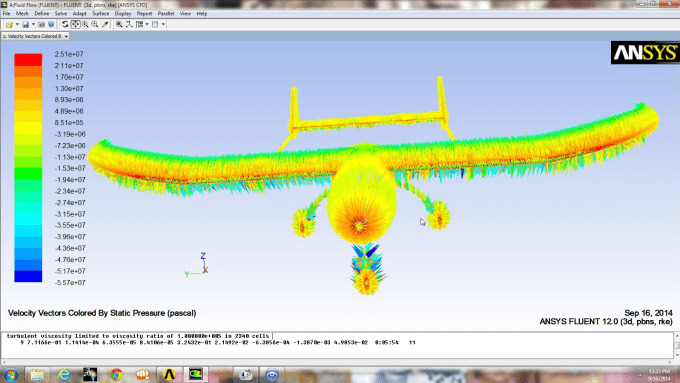 I can also create simulation of designed parts and perform analysis of designs. Delivery time depends on complexity of parts. Although I’ll try to deliver in 24 Hours. In case the part or drawing is complex and bigger in size, you should place multiple orders which we could discuss before you place one. Don’t hesitate to contact me if you need report or presentation regarding the required model. Note: First 10 Buyers will get extras free. Best Offer on Fiverr.